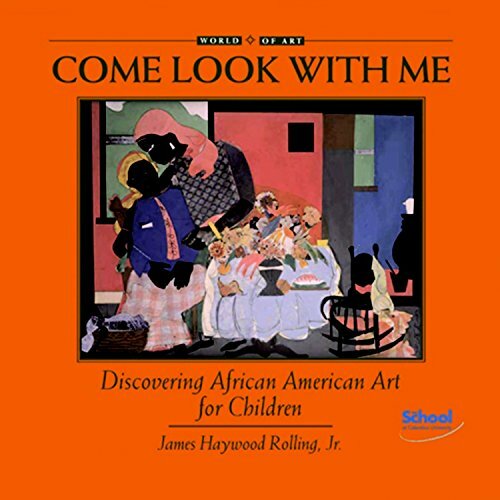 COME LOOK WITH ME: DISCOVERING AFRICAN AMERICAN ART FOR CHILDREN introduces children to twelve magnificent works of art. The artwork presented in this book is a small representation of a very remarkable effort by African Americans in the United States during the twentieth century to portray our developing self-image as citizens who have shaped not only ourselves, but have helped to develop the shape and color of all of our aspirations. Well suited for both individual and classroom use, DISCOVERING AFRICAN AMERICAN ART FOR CHILDREN pairs great works of art with thought-provoking questions, encouraging children to learn through visual exploration and interaction. Thoughtful text introduces the world and work of the artist, making the most of a child’s natural curiosity.